Tyre (or tire) is a circular and ring like part of a vehicle which comes in contact with ground. Tyres are fitted on rims and are filled with compressed air. Since their invention, natural rubber is the most widely used material in manufacturing of tyres. However, modern tyres also employ materials like synthetic rubber, fabric, steel wires, carbon black and some more compounds. Tyres find place in wide range of locomotives, from bicycles to aeroplanes. 1. 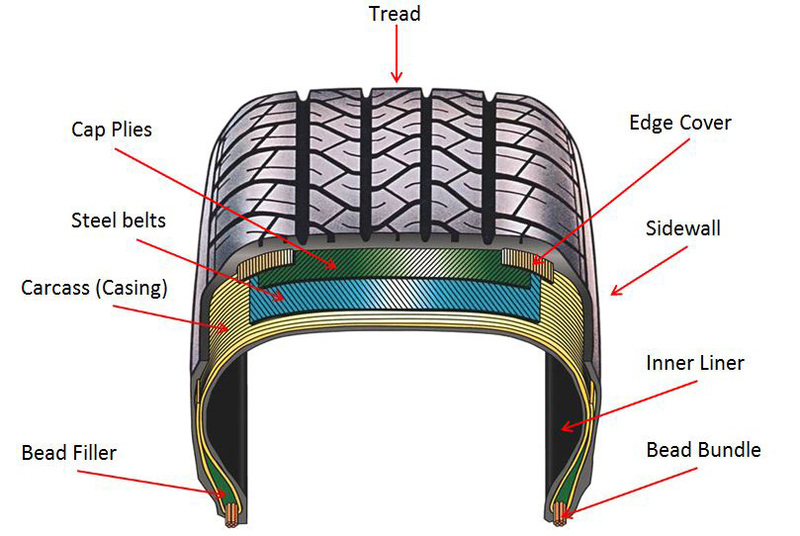 Cross ply or bias ply: In these tyres, ply cords are at an angle of 30°-40° to the tire axis. 2. Radial ply: In these tyres, ply cords run in the radial direction. 3. Belted-bias ply: This is a combination of the above mentioned types. However, majority of the tyres used nowadays belong to the class of radial tubeless tyres. 1. To maintain contact between vehicle and ground by providing desired traction. 2. To support the load of vehicle. 3. Dealing with various forces acting on vehicle during its motion. 4. Providing cushion against shocks and damping them. How to read tyre nomenclature? In addition, some manufacturers also specify speed and load rating of tyres in the nomenclature. 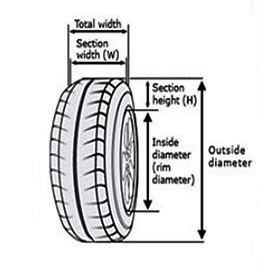 Based on these parameters, one can determine the maximum speed and load which a tire can withstand. Buyers can easily decode these terms from manufacturer's catalogue or from the charts available in any standard reference manual. In recent period lots of futuristic tyres are designed, here is one of them by Goodyear called Goodyear eagle 360 . What is Valve Timing & How It Affects Engine Performance? Vehicle Body Nomenclature: What is A/B/C/D Type of Car Pillar? What IS Catalytic Converter In Cars & How Does It Work?